This Cool Nail customer likes to have her nails bling bling. She likes her nails and toe nails to be like an accessories. She doesn’t really wears earrings, bracelets, necklace, and etc. She really likes to do gel nail art. Also she like normal nail polishes. However there are some nail arts that can be done only with gel polish. There are higher chances cubic to fall down or other nail pats if you do it with regular polishes. So she really likes to do gel nail art. Having the base with glitters and spangles. After that place some arts on top. Especially when you are looking under the lights it is really pretty. Recommended to people who want attention in the club. You don't need further accessories gel nail art is just fabulous. You don't have to wear it for all five fingers. Like in the picture choose one nail to do art on it to give a point. For the rest of the finger paint it with colors you like. The nails are really shining and the cubic on one nail gives off more light to the gel polish nail art. However you don't need to worry about it. When you don’t purposely force your self to take it off. It won’t fall off and can do any daily action. Do you say gel nail is too thick? However like the changes on cellphone thickness it is same for the gel polishes as well. The gel polish formula got better and the artisan technique as well. Also doing full color, gradation, or French nail won’t feel any thickness. 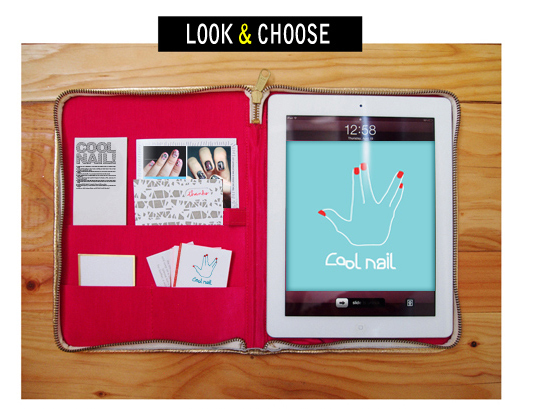 but in Cool Nail we can say that it's very light and thin to wear.